Photograph attached to scrapbook. 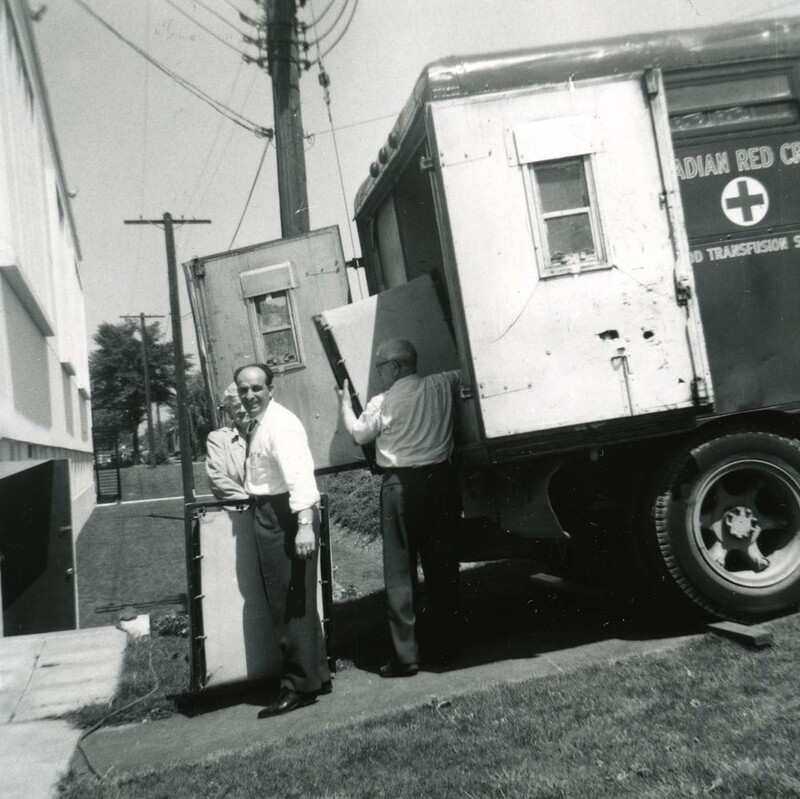 It depicts Alec Jackson (left) and an unknown B'nai B'rith member helping to unload a Canadian Red Cross blood transfusion service truck. B'nai B'rith Lion's Gate Lodge organized a blood bank clinic at Beth Israel synagogue in May 1958. Corresponding photos of this event can be found in other scrapbooks.